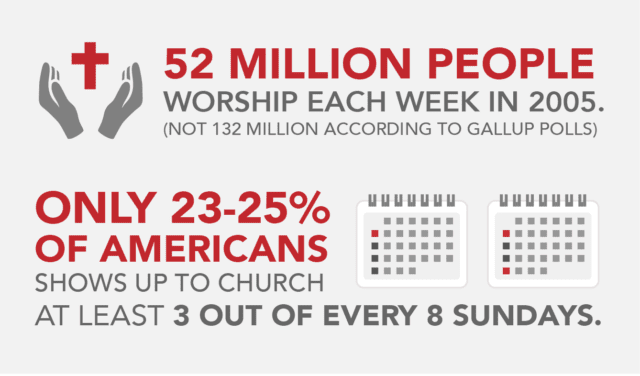 What’s the latest on church attendance in America? 1. Less than 20 percent of Americans regularly attend church—half of what the pollsters report. While Gallup polls and other statisticians have turned in the same percentage—about 40 percent of the population—of average weekend church attendees for the past 70 years, a different sort of research paints quite a disparate picture of how many Christians in American attend a local church on any given Sunday. Initially prompted to discover how church plants in America were really doing, Olson, director of church planting for the Evangelical Covenant Church (covchurch.org), began collecting data in the late ’80s, gradually expanding his research to encompass overall attendance trends in the church. In his study, he tracked the annual church attendance of more than 200,000 individual Orthodox Christian churches (the accepted U.S. church universe is 330,000). To determine church attendance at the remaining 100,000-plus Orthodox Christian churches, he used statistical models, which included multiplying a church’s membership number by the denomination’s membership-to-attendance ratio. His findings reveal that the actual rate of church attendance from head counts is less than half of the 40 percent the pollsters report. Numbers from actual counts of people in Orthodox Christian churches (Catholic, mainline and evangelical) show that in 2004, 17.7 percent of the population attended a Christian church on any given weekend. Another study published in 2005 in The Journal for the Scientific Study of Religion by sociologists C. Kirk Hadaway and Penny Long Marler—known for their scholarly research on the church—backs up his findings. Their report reveals that the actual number of people worshiping each week is closer to Olson’s 17.7 percent figure—52 million people instead of the pollster-reported 132 million (40 percent). Gallup Poll Editor in Chief Frank Newport agrees that the halo effect factors into poll results. 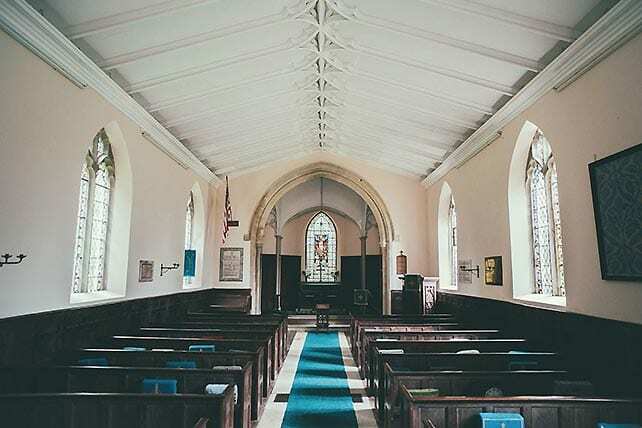 During a Gallup telephone survey of a random sampling of about 1,000 Americans nationwide, interviewers ask respondents questions such as, “In the last seven days, did you attend a church service, excluding weddings and funerals?” to determine their church-going habits. “When people try to reconstruct their own behavior, particularly more frequently occurring on-and-off behavior, it is more difficult, especially in a telephone interview scenario,” Newport says. But he stands behind Gallup’s 40 percent figure: “I’ve been reviewing [U.S. church attendance] carefully,” he says. “No matter how we ask the question to people, we get roughly 40 percent of Americans who present themselves as regular church attendees.” He adds, however, that if you were to freeze the United States on any Sunday morning, you may find fewer than 40 percent of the country’s adults actually in churches.